succumb to the corruption, there is always the option of direct pressure, which in the United States and Britain consists of targeted interference in the political system to remove critics either through promotion of scandal or by supporting well-funded alternative candidates in the following election. In the United States, this has led to the removal of a number of congressmen who had dared to criticize the Jewish state, terrifying the remainder into silence. All of this goes on with little or no debate in the media or in congress itself. There are signs, however, that the general tolerance of Israeli misbehavior might be ending. 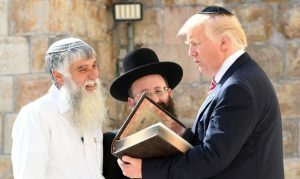 The election of at least three Democratic Congresswomen Ilhan Omar, Rashida Tlaib and Alexandria Ocasio-Cortez, who might be willing to discuss Israel in something less than worshipful ways is a miniscule shift in the alignment of the Democratic party, where Jewish money dominates, but it reflects the views of the party’s grass roots where a recent poll demonstrates that surveyed Democrats favor Israel over Palestine by a margin of only 2%, twenty-seven per cent versus twenty-five per cent with the remainder of responders favoring neither side. 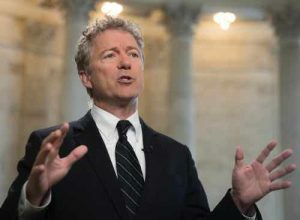 Much more significant is last week’s announcement by Senator Rand Paul (pictured) that he intends to place a “hold” on the current package of $38 billion in military aid to Israel, which means he can filibuster the issue in the Senate to delay its passage. Paul, who, like his father, is a skeptic regarding foreign aid in general, did not cite any specific issues connected to the aid package, but critics have long noted that Israel is in fact ineligible for any foreign aid from the United States because it has an undeclared nuclear arsenal consisting of at least 200 weapons. For that reason, providing aid to Israel is illegal under the Symington Amendment of 1961 as well as due to the fact that Tel Aviv has rejected signing the Nuclear Non-Proliferation Treaty (NPT). Another area where one might have expected more pushback from Americans is the lack of any serious resistance from Christian groups to the process whereby the conservative Likud dominated Netanyahu government is seeking to turn Israel into a purely Jewish state. That, too, is changing due to Israeli behavior. Even though Israel boasts that it provides a safe haven for Christians to practice their religion, reports occasionally surface suggesting something quite different. Jewish Zealots spit on Christian clergy and curse them out in the streets without any fear of repercussions. Some clergy have been harassed and even assaulted by Jewish extremists. Churches and religious foundations are frequently vandalized or defaced with obscene graffiti, and the Israeli government has also confiscated or destroyed church property. Now it is the turn of the Quakers in Britain, who have banned any investment by the church in companies that exploit the “military occupation of Palestinian territories by the Israeli government.”, prompting a furious response from Jewish leaders. It is the first British Church to do so, and leaders of the group have compared their action to taking steps against apartheid and the slave trade.